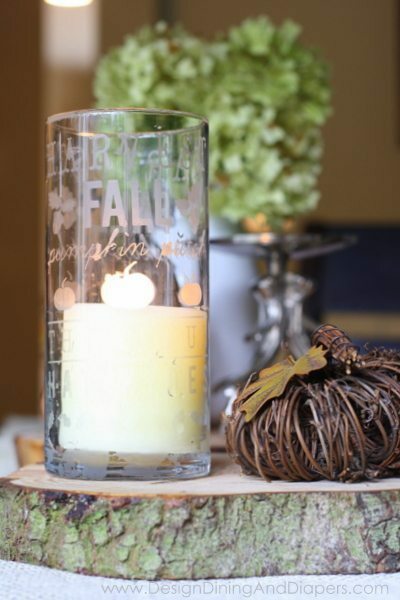 Have you ever experimented with glass etching before? I’ve done a few projects (check out my Advent Calendar from last year) and I’m always amazed at how fun and easy it is. Silhouette of America just launched their new Glass Etching Starter Kit, making it super easy for anyone with a Silhouette to create your own glass etched art. I had a chance to try out the kit and it’s awesome. Everything you need is in the box! 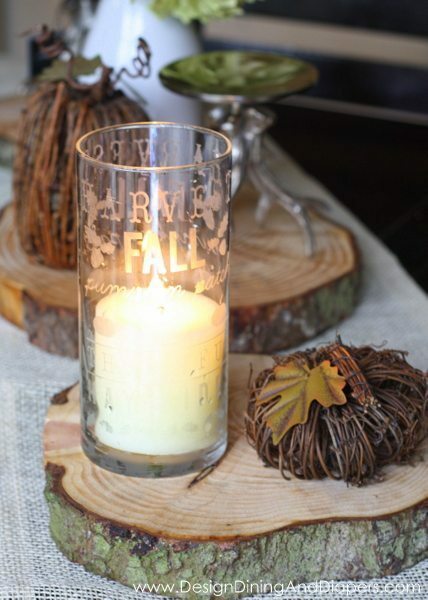 Using the kit, I made this Etched Glass Candle Holder For Fall. I etched a fall subway art onto the glass and love how it turned out. 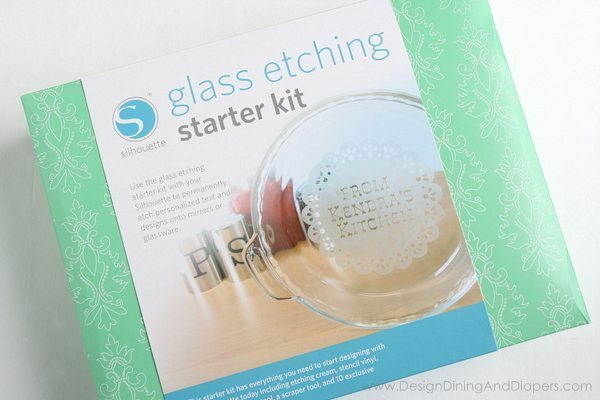 If you’ve ever wanted to try glass etching, I highly recommend using this kit. And if you don’t have a Silhouette yet, now is your chance! 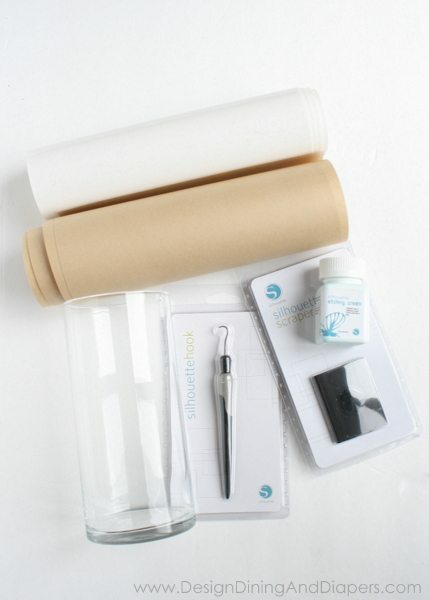 The kit come with everything you need including vinyl and transfer paper and the etching cream. 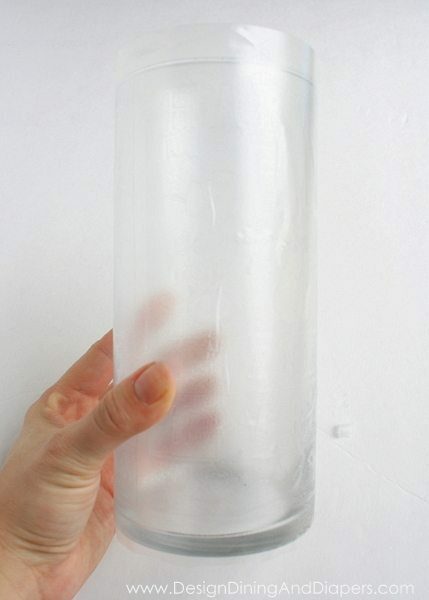 For this project, I picked up a glass vase at the Dollar Tree. I created my design in my Silhouette program. I chose a Fall Subway Art that I downloaded for free last fall. I set two of them side by side to cover the entire outside of the vase. After cutting the design onto the vinyl, I used the included tool to pull off the excess pieces and show the design. It was easy to apply the vinyl using the transfer paper. 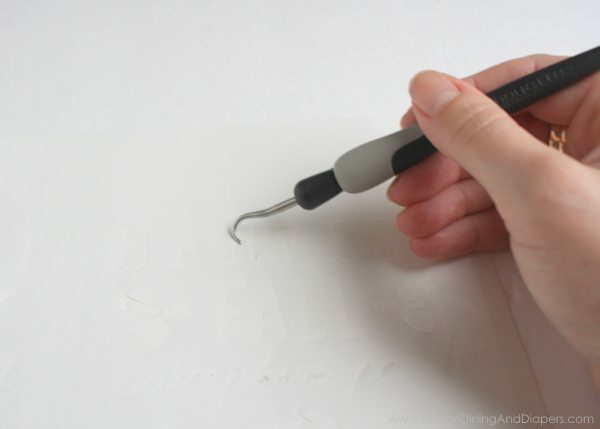 This paper is different then your normal Silhouette transfer paper, it is special to the Glass Etching Kit. 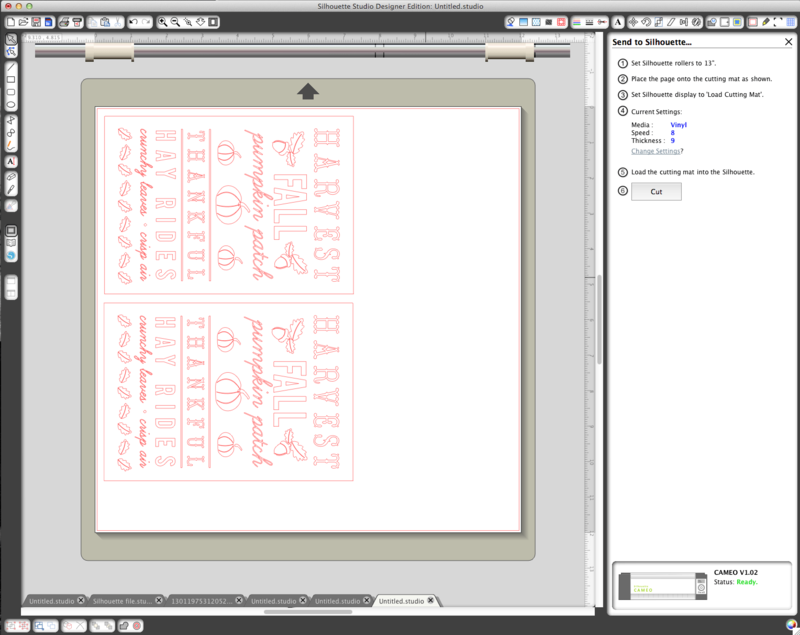 Based on my experience from the past, you’ll want to apply a tick layer of the cream to the areas that you want etched. Wait 60-90 seconds and then rinse off. 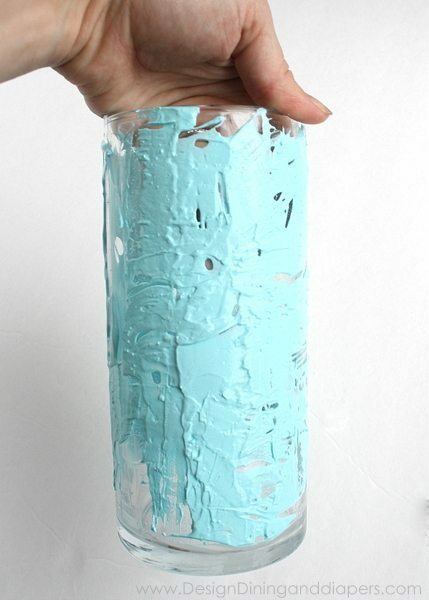 And the best part is, once the cream is off and you dry the vase your project is ready to use! And if you don’t have a Silhouette GET ONE NOW! Seriously, it’s worth every penny. Just use the code DIAPER at checkout. wow Taryn, when in the heck did you have time to try this? Love how the subway art looks on that glass vase. You did a great job. Hope you’re ok where you live in Seattle. Saw the news tonight, what a mess there. The weather is being pretty darned ornery in the west these days. Give your little guy and gal a hug/kiss for me will you? Imagine your Mom and Dad get lots of grandparent love in when they can. I don’t remember if they’re close by or not, sorry. Hope they are for their sakes and the kids. Kids can always handle as many loves as they can get. How pretty!!! I love the candle holder, you did a great job with it!